After returning from Savannah, I have been craving southern foods moreso than normal. 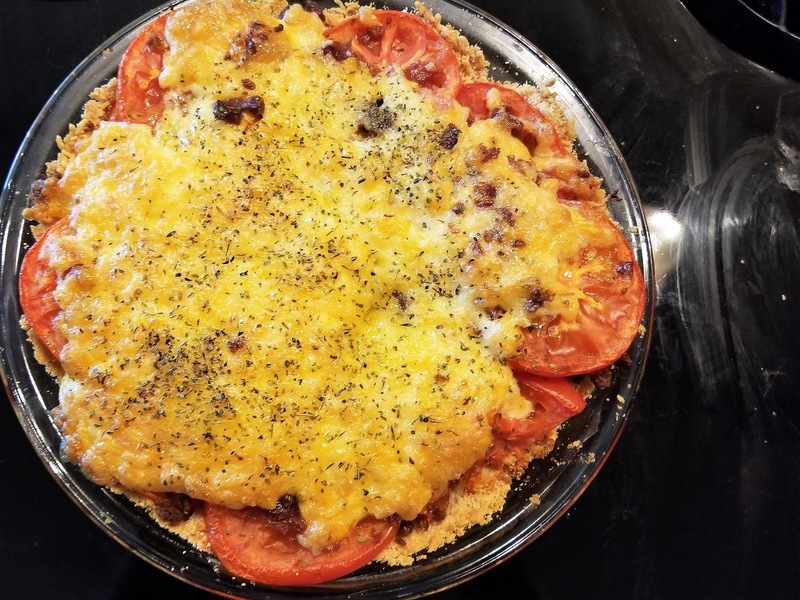 I started looking up recipes and came across a recipe for Low Carb Tomato Pie and let me tell you, it doesn't disappoint! Mix ingredients and press into 9" pie plate. Bake on 350 for 15 minutes. 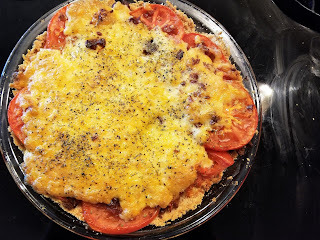 After the crust is done lay sliced tomatoes on crust. Sprinkle tomatoes with chopped bacon. Mix mayo and shredded cheese together in a separate bowl. Slather the top of the pie with the mayo mixture to evenly distribute. Sprinkle top with Italian seasoning. Bake at 350 for 45 minutes. Serve warm or chilled.